Many people don’t know that stimulants can be used for treatment-resistant depression. Stimulant medication (such as methylphenidate) is primarily used to treat attention deficit hyperactivity disorder (ADHD), while other stimulant-like drugs are often prescribed to ease the effects of narcolepsy, obstructive sleep apnea, and other sleep disorders. However, stimulants have also been used to treat patients with major depressive disorder (MDD) – particularly those who do not respond to traditional antidepressants. So how do stimulants for treatment-resistant depression work, and are they safe? Stimulants are often used for treatment-resistant depression, usually along with another oral antidepressant, such as an SSRI. Stimulants and psychostimulants for treatment-resistant depression (particularly amphetamine and methylphenidate) have been used in addition to conventional antidepressants for decades, and with great success. In a study carried out on those with treatment-resistant depression, 38 out of 65 patients showed significant improvement in response to psychostimulants. Despite concerns in the medical field, none of the subjects in this study showed serious side-effects or developed drug dependency. This doesn't mean that stimulants are always safe, or that they always work. These kinds of medications can have severe side-effects and dangerous interactions with other drugs, so they must always be taken under guidance from a medical professional. Lamotrigine (also known as the brand name Lamictal) is an anticonvulsant medication used to treat epilepsy. It can also be prescribed as a mood stabilizer in those with bipolar disorder as a replacement for Lithium, which has been relatively under-prescribed in recent years. Studies have shown that the mood-stabilizing component of Lamotrigine is effective in treating treatment-resistant depression. The drug works by accelerating the onset of antidepressant action. Ritalin is a trade name for methylphenidate. Some doctors prescribe Ritalin for treatment-resistant depression, but it is typically a stimulant used to treat attention deficit hyperactivity disorder (ADHD) and narcolepsy. Although the adjunctive use of psychostimulants like Ritalin is still being investigated for the treatment of treatment-resistant depression, there is no clear evidence that methylphenidate is effective at easing the symptoms. Although some promising results were seen in case studies, controlled studies have not demonstrated significant improvement in patient outcomes. As such, most doctors do not recommend Ritalin as a first-line treatment for depression. You should never take methylphenidate medications without guidance from your doctor. Adderall can also be prescribed for treatment-resistant depression because it helps to alleviate lethargy. However, Adderall is not an antidepressant, and it should not be used as a replacement for conventional depression treatments. It also potentially interacts with many medications including monoamine oxidase inhibitors, blood thinners, alpha blockers, antacids, antihistamines, anticonvulsants and some pain killers. Adderall can also be highly addictive. According to the National Institute of Health, when taken for some time, patients may develop a tolerance, necessitating increased doses to have the same desired effect. What's more, doctors warn that regular use of Adderall followed by suddenly stopping can trigger worse bouts of depression. Stimulants can be effective at treating depression, but they can also be dangerous when not taken correctly or taken over a long period of time. Recently, the FDA issued a warning for anyone taking stimulants like Adderall, Ritalin or Lamactil. This comes after research indicated that children and adolescents who took stimulants might be at increased risk for cardiac events like stroke, heart attack and sudden death, especially if they had pre-existing cardiac problems. This same research highlighted a risk of psychosis or mania in patients who took stimulants. As such, the risks and benefits of taking stimulants for the treatment of treatment-resistant depression should be weighed carefully by a doctor, and you should always follow your physician's instructions. Many people assume there is no medication for treatment-resistant depression (TRD). However, the term "treatment-resistant" is only applicable after two or more conventional antidepressant medications have been used without success; it doesn't mean that medicine will never work for you. There have been many advances in the medical field for the treatment of major depressive disorder (MDD) – most notably a new medication for treatment-resistant depression that could relieve symptoms almost instantly. Let's explore the options available. Medication for Treatment-Resistant Depression: What’s Available? Until recently, there has been no alternative medication for treatment-resistant depression. Instead, patients with recurring major depressive disorder who failed to respond to conventional antidepressants would need to either experiment with other forms of antidepressants, taking each one for more than six weeks at a time, or undergo neurostimulation therapy. When treating depression, doctors are most likely to start with newer antidepressants, such as SSRIs like Zoloft and Prozac, as well as medicines from other classes like Wellbutrin and Effexor. If these do not work, your doctor may try you on an older tricyclic antidepressant, such as Elavil or Pamelor, or an MAO (Monoamine Oxidase) inhibitor. Although these medications can be effective for those with treatment-resistant depression, they tend to have more severe side-effects than other drugs. For this reason, most doctors are reluctant to try older forms of antidepressants unless they have exhausted all other options. See Also: Do Stimulants Work for Treatment-Resistant Depression? Symbyax was the first medication for treatment-resistant depression to be approved by the FDA in 2013. This drug combines the active ingredient in Prozac with an antipsychotic medication often used to treat type 1 bipolar disorder. This medication works by helping to restore the balance of neurotransmitters in the brain. It has been proven to help patients sleep, improve their mood, boost concentration and decrease nervousness and anxiety. Most recently, the FDA approved esketamine (Spravato) for depression, which can be used to treat major depressive disorder in cases where other antidepressants have not been successful. Esketamine contains a low dose of ketamine for treatment-resistant depression, which is administered in the form of a nasal spray. Due to the risk of drug dependency and the potential for adverse side-effects, the nasal spray cannot be taken at home. Esketamine for depression is given at your doctor's office under medical supervision, where you will need to remain for at least two hours in case side-effects occur. Although this can be time-consuming, most patients in clinical trials only had to take a dose every 1-2 weeks to see substantial improvements in their symptoms. The treatment is also expensive, but the results are promising enough that many patients (if they are able) will be willing to pay for it. It is unclear yet whether insurance companies will cover the drug. When it comes to medication for treatment-resistant depression, there are more options than you might think. Talk to your doctor about alternative medicines you can try, as well as the availability of new treatments, like esketamine for depression, and ask to see a specialist who deals with TRD patients if you haven't already. Many people with treatment-resistant depression (TRD) feel that their options are limited or even non-existent. Today, however, there are many alternative approaches to treating TRD that can help ease the symptoms of major depressive disorder and improve patient outcomes. In March 2019, a new nasal spray medication was approved by the FDA to work alongside oral antidepressants for sufferers of depression who have failed to respond to conventional treatments. This is a significant breakthrough in the mental health field, but it's not the only treatment option for treatment-resistant depression. Treatment-Resistant Depression: Am I Out of Options? When it comes to treatment-resistant depression, it can seem like you're out of options, but this is rarely the case. Being diagnosed with TRD can feel hopeless, but it’s important to gain some perspective before you write off all possible treatments. Firstly, treatment-resistant depression affects around one-third of all patients treated for major depressive disorder, so it is more common than you might think. Secondly, the term "treatment-resistant" doesn't mean you'll never respond to treatment; this is merely the label given to depression that doesn't improve after two or more antidepressant medications are tried. Having treatment-resistant depression means that you and your doctor may need to work a bit harder to find ways of managing depression that work for you. There is no quick fix, but there are plenty of options to try – even if you have recurring major depressive disorder (MDD). Making changes to your medication: It may be that you need to try a new medication for treatment-resistant depression, or that you need to increase your current dose. Your doctor might suggest a different type of antidepressant or consider tweaking your drug schedule before exploring other treatment-resistant depression options. 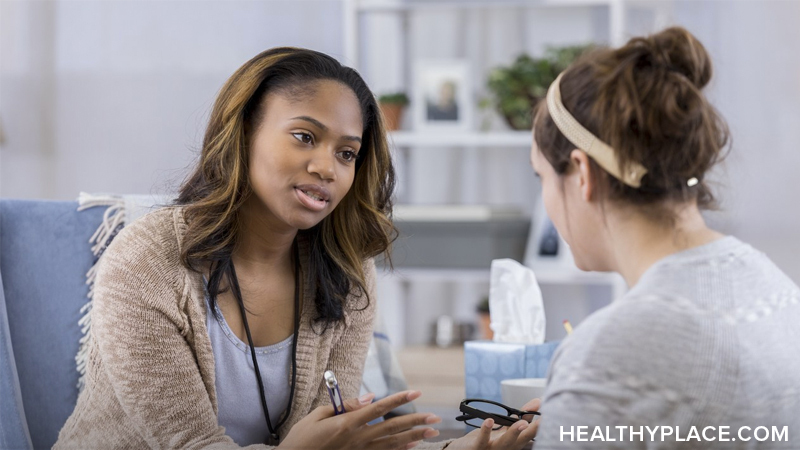 Psychological counseling: Most patients with moderate to major depression see a counselor, and many find it to be instrumental in managing their depression symptoms. Some people are reluctant to try counseling, or else they think that because they've attempted one form of counseling without success that it doesn't work for them. Of course, talking therapy may not work for everyone, but it is a vital part of treatment in most cases. Testing for other health conditions: Depression can be caused or worsened by underlying health conditions like thyroid problems, eating disorders or chronic fatigue syndrome. In rare cases, it can also be linked to heart disease or certain types of cancer. As a result, your doctor may decide to run other tests before diagnosing you with treatment-resistant depression. Electro-convulsive therapy (ECT): ECT for treatment-resistant depression is often used to treat life-threatening or severe cases of depression, mania or psychosis. The treatment involves an electric current being sent through the brain to trigger a seizure. It is given under general anesthetic using muscle relaxants, so your body only twitches slightly rather than convulsing. In a survey of 78 ECT clinics conducted in 2012-2013, the ECT Accreditation Service reported the procedure to be effective or highly effective in 1712 out of 1789 patients. Transcranial magnetic stimulation (TMS): Transcranial magnetic stimulation (TMS) is a non-invasive procedure that uses magnetic fields to stimulate nerve cells to improve symptoms of depression. TMS for treatment-resistant depression has proven efficacy in adult, pediatric and geriatric patients. New medication for treatment-resistant depression: In March 2019, the FDA approved a new esketamine nasal spray named Spravato for treatment-resistant depression, which can be taken alongside oral antidepressants under medical supervision. It is unclear whether insurance policies will cover esketamine, and the medication is expensive. However, most patients in clinical trials found that they only needed one dose of the nasal spray every 1-2 weeks to ease symptoms. New options for treatment-resistant depression are being researched all the time. The latest medication approved by the FDA is a breakthrough for those with TRD, and there is more hope than ever before for those who don't respond to conventional treatments. Depression doesn't have to be a life sentence; talk to your doctor about exploring new options for treatment-resistant depression, and don't give up hope. Treatment-resistant depression (TRD) is a chronic and disabling condition that affects around a third of patients being treated for major depressive disorder (MDD) in the U.S. Although depression in all its forms can be debilitating, those who don't respond to conventional treatments have been found to carry a higher suicide risk than those who do respond to depression treatment. Here's how to tell if you have treatment-resistant depression and what you can do about it. What Is Treatment-Resistant Depression: Do I Have It? You may have treatment-resistant depression if you have been treated for depression but your symptoms haven't improved after six weeks or longer. Conventional treatments include antidepressant medications taken by mouth (such as SSRIs, SNRIs or MAOIs), as well as psychological counseling. In cases of mild to moderate depression, your doctor may recommend a lifestyle change to ease your symptoms, such as changing your diet, socializing more or doing exercise. So, what exactly is treatment-resistant depression? Although there is no fixed definition of TRD, U.S. databases typically define treatment-resistant depression as the "failure of two medications as evidenced by their replacement or supplementation by other medications." In other words, if you have tried two antidepressant medications without success, your doctor may diagnose you with treatment-resistant depression and help you explore other options. Of course, suicidal thoughts and ideations can occur with all forms of depression. If you have thoughts about harming yourself, you can call the National Suicide Prevention Lifeline at 1-800-273-8255, 24 hours a day, 7 days a week. What Are the Causes of Treatment-Resistant Depression? No one knows exactly what causes treatment-resistant depression. It may be a mix of different factors, many of which are beyond your control. Not taking medicines correctly: For example, skipping doses or not staying on a treatment regimen for a long enough period of time. Alternatively, you may need a higher dose than what was initially prescribed. 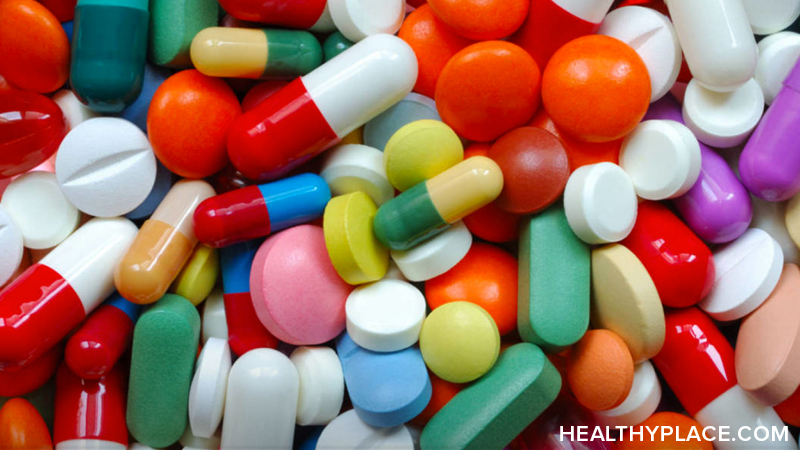 Drug interactions with other medications: You should talk to your doctor if you think this is the case. Your genetics: You may be genetically predisposed to major depressive disorder, or your DNA could make certain medicines less effective. Researchers have begun to look into the link between treatment-resistant depression and genetics. Other health factors: Depression can be caused or worsened by existing health issues, such as thyroid problems, cancer or heart disease. It's important to get tested for underlying conditions so that you can seek the appropriate treatment. Misdiagnosis: Some people think they have treatment-resistant depression, but their symptoms are a result of another condition like bipolar disorder, anxiety or a substance-induced mood disorder. If conventional treatments haven't worked for you, don't give up. Treatment-resistant depression may not be easily treatable, but you still have treatment options for TRD. You may need to try other medications, attend psychotherapy, go to support groups or ask your doctor about neurostimulation treatments like electroconvulsive therapy (ECT) or vagus nerve stimulation (VNS). The FDA has also approved a new nasal spray called esketamine (Spravato) for treatment-resistant depression, which can be taken alongside oral antidepressants under supervision from your doctor. Esketamine (sold under the brand name Spravato) is a new medication approved by the U.S. Food and Drug Association in March 2019 for treatment-resistant depression (TRD). It is the first nasal spray to be used to treat depression, which is one of the reasons why it is making waves in the mental health field. Spravato is closely related to ketamine, so it has to be administered with strict guidelines and taken under medical supervision. However, the results of extensive studies have shown that esketamine is highly effective against treatment-resistant depression. 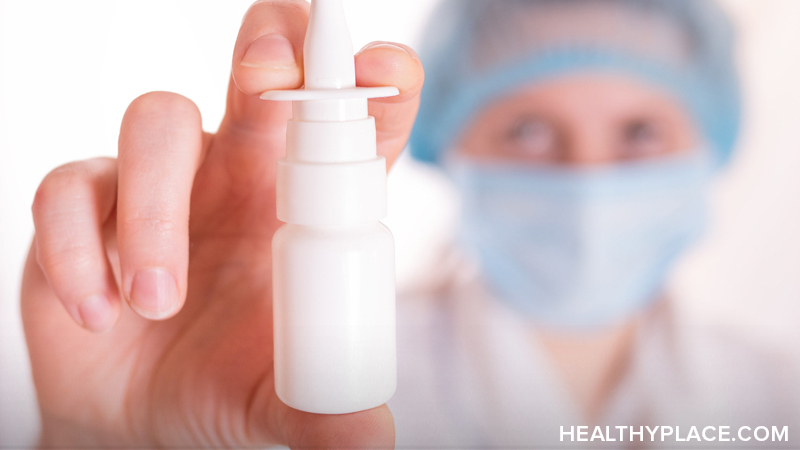 Here is everything you need to know about the new antidepressant nasal spray. What Is Esketamine and Why Do We Need It? Esketamine nasal spray will be used solely to treat adults with depression who have tried at least two other antidepressants without success. The drug works by binding to NMDA-receptors in the brain, blocking the reuptake of glutamate while activating AMPA receptors. In short, they strengthen synapses in the areas of the brain associated with motivation and mood. Studies show that 30% of depression sufferers don't see results from standard depression treatment options. It's also clear that patients who don't respond to antidepressant medications are at higher risk of suicide than those who are treatment-responsive. What's more, unlike oral antidepressants (which can take up to six weeks to work), esketamine is fast-acting. Patients may see relief from severe depression symptoms within hours. This is what makes the drug so impactful for individuals with severe depression, especially as many of the SSRIs and more traditional tricyclic antidepressants on the market come with significant side-effects. During clinical trials, researchers found that esketamine, when taken by patients at risk of suicide, resulted in "significantly rapid improvement in depressive symptoms." The effects of treatment were also long-lasting, with many patients requiring no more than a single dose per week. What Are the Side-Effects of Esketamine? However, because a doctor always administers esketamine, the side-effects can be easily managed. They are also temporary, usually occurring directly after a dose. How Do You Use Esketamine for Depression? Esketamine has been approved by the FDA to be taken alongside an oral antidepressant. Although it sounds like a miracle drug, it is administered under strict guidelines. Firstly, you cannot take esketamine at home. 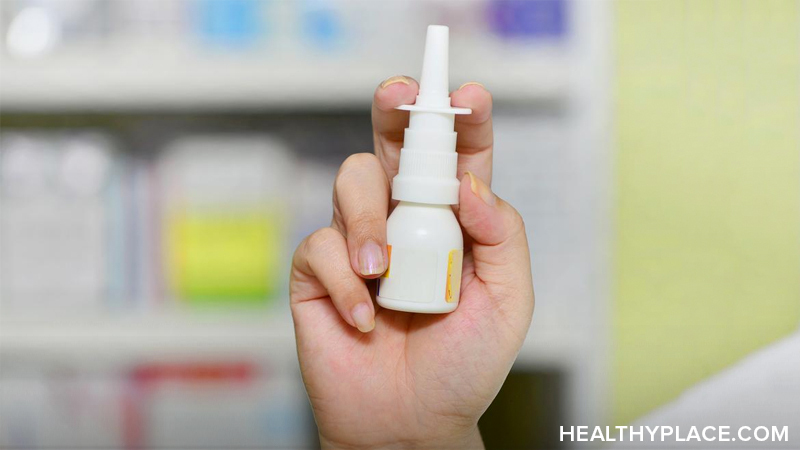 The nasal spray has to be administered in your doctor's office under medical supervision, and you'll have to wait there for two hours (or until your doctor says that you're okay to leave). You won't be able to drive after taking esketamine. If you suffer from treatment-resistant depression, you may have to do this 1-2 times a week. How Much Does Esketamine Cost? One of the downsides of esketamine nasal spray is the cost. Currently, one treatment of the esketamine nasal spray Spravato will cost between $590 and $885. It is unclear whether insurance companies will cover this treatment. Some patients, providing they live in the U.S. and meet eligibility criteria, may be able to seek help with the cost through a Spravato patient assistance program like the Johnson & Johnson Patient Assistance Foundation. Overall, esketamine could provide fast and effective treatment for severe depression. Rather than waiting for up to six weeks to see is an antidepressant takes effect, patients will know immediately whether the nasal spray has worked for them. In the long-run, esketamine should provide almost instantaneous and prolonged relief for the millions of people suffering from treatment-resistant depression. cause an incredible amount of stress and misunderstandings. Anxiety ruins relationships when worries, what-ifs, emotions, thoughts, and behaviors crowd out the positive that once existed between two people. Is “ruin” the right term, though? Are relationships really destroyed by anxiety? Let’s take a look. When someone lives with anxiety, their life becomes increasingly restricted so that negative, anxious thoughts and beliefs become paramount. As the focus of the relationship, anxiety wedges itself between the partners, blocking their view of each other. When people lose sight of each other because of anxious ideas and behaviors, anxiety ruins the relationship. Anxiety has been shown to increase relationship problems. People living with generalized anxiety disorder (GAD), for example, are more prone than those without GAD to experience relationship problems, including divorce (Cuncic, 2018). 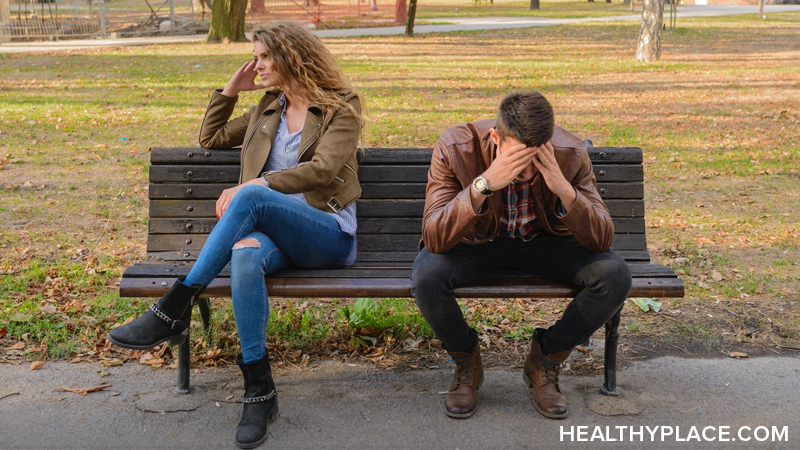 According to the Anxiety and Depression Association of America (n.d.), people with GAD are twice as likely as those without anxiety to have at least one significant relationship problem and are three times more likely to avoid intimacy. Intimacy is a vital component of healthy relationships. Avoiding it due to anxiety (such as fear of inadvertently displeasing their partner), can be a deal-breaker. It’s not just GAD that interferes in relationships and causes their demise. Any anxiety disorder can do this as can anxiety that doesn’t meet the diagnostic criteria for a disorder. Essentially, any type of anxiety can ruin relationships. Anxiety in a relationship is incredibly stressful. Worries, what-ifs, fears, thoughts emotions, and behaviors cause angst, both to the person with anxiety and their partner. Stress becomes a theme for the relationship. Barriers form between partners, which create greater and greater distance. All too often, this unhealthy situation leads to the demise of the relationship. In answer to the above question, then, yes—anxiety can ruin relationships. By looking more closely at why anxiety ruins relationships, we can gain knowledge that can be used to prevent relationships from breaking apart because of anxiety. Anxiety ruins relationships because it intrudes. It creates negative thought patterns and beliefs, and it makes them larger than life (as in bigger and more believable than reality). These issues erode feelings of connection and the ability to trust. Anxiety becomes an obstacle as it commands the attention of both partners. Rather than being fully present with each other, both the person with anxiety and their partner place too much attention on the anxiety. This in turn leads to feelings of disconnection, separation, and abandonment. Anxiety drives these behaviors, but it’s not just the person with anxiety who uses them. Anxiety ruins relationships because relationships can’t sustain themselves with these barriers to closeness, fun, and intimacy. anxiety can ruin relationships, it doesn’t have to obliterate them, crushing them beyond repair. Separation anxiety in relationships is an excessive experience of fear and worry, a collection of emotions, thoughts, and behaviors that can be crushing when two people must be apart. It can begin even before the person who is going away departs. Anticipating being apart can cause distress for both partners. 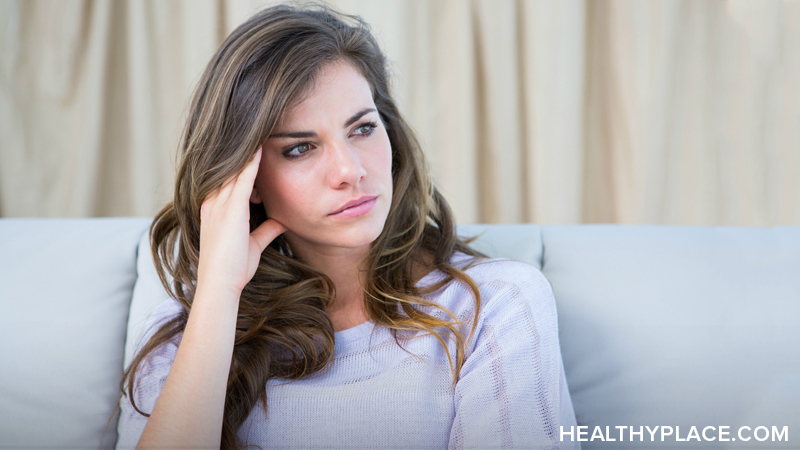 During the separation, anxiety can spike as one or both partners develop heightened worries. Separation anxiety in long-distance relationships, whether the time apart is for days, weeks, or months, can contribute to unhealthy emotions, thoughts, and behaviors. Separation Anxiety in Long-Distance Relationships: What It’s Like? How does anxiety affect relationships? Long-distance relationships and separation anxiety can affect someone’s whole being. People can respond with negative emotions to the separation. Depending on their level of anxiety as well as their outlook about the separation, people respond in different ways. Some experience only a few of the following reactions—and those only mildly—while others deal with many of them and more and do so intensely. Separation anxiety can cause physical symptoms, too. It can be felt in any part of the body. Headaches, digestive troubles, respiratory problems, aches and pains, and fatigue can make people miserable. This physical manifestation of anxiety makes being apart all the more difficult to experience. These effects of anxiety and long-distance relationships don’t have to bother you for the duration of your separation. You can keep the time you’re apart from negatively impacting your relationship. Working both together and independently, you can reduce separation anxiety and the hold it has on your relationship. Perspective is important. Viewing this time as a challenge you both can handle helps you work on positive ways to get through it. You will still miss each other and even feel some separation anxiety from time to time, but that anxiety won’t control you or dominate your relationship. Rather than forming unhealthy attachments and dependence, dealing with the separation and creating healthy, positive ways to navigate through it will decrease separation anxiety and bring you closer to each other despite the distance. Plan ahead. Before you or your partner leaves, create a plan with times for talking and video chatting. Also plan things you can do “together,” like taking walks at the same time and sending pictures of what you see. Tune in to your emotions. Be aware of negative emotions like anger, loneliness, sadness, and guilt. When you catch them before they grow out of control, you can use coping skills to manage them. Recognize your thoughts and feelings for what they are. They relate to the separation rather than you, your partner, or your relationship. Let go of expectations and the way you think things “should” be. Catch yourself thinking this way, and then sit or stroll in mindfulness to return to the real world, not the imagined one. Regularly practice relaxation, using your favorite techniques to reduce anxiety. Communicate with each other often. Texting and video chatting are great ways of connecting. 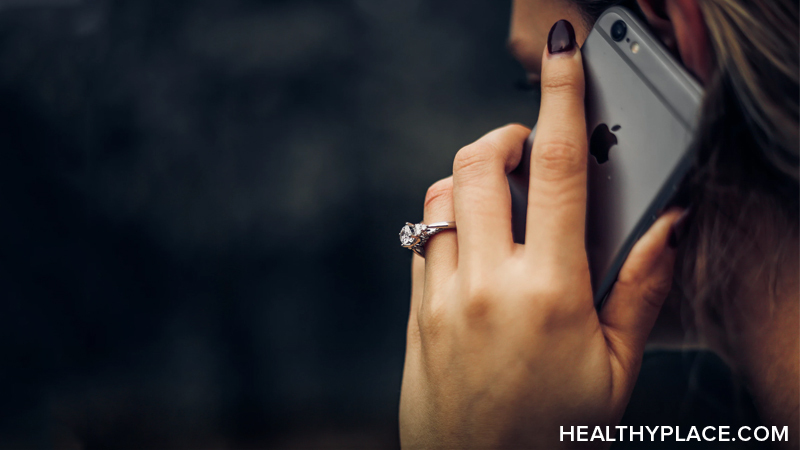 The phone isn’t always helpful because interpreting tone and words without body language to help can lead to negative assumptions and jumping to conclusions. Share your feelings for each other. Also, it’s important to address concerns and misunderstandings. Such conversations are uncomfortable, but in the long run, they decrease anxiety rather than increasing it. Keep printed pictures of each other nearby. Texting pictures of yourselves helps maintain the connection, too. Share your day with each other. At the end of the day, text or video chat about what you did and share stories of what was good and not-so-good. Separation anxiety in long-distance relationships can be uncomfortable at best and devastating and debilitating at worst. Even though it impacts both partners in multiple ways, you can manage it and remain close despite the distance. Anxiety and insecurity are a combination detrimental to relationships. Together, they can kill a relationship. The irony is that partners do care about each other, but anxiety and insecurity in the relationship can cause the very thing that the anxious partner is desperately trying to prevent: a break up. The mix of anxiety and insecurity causes distinct worries and behaviors that can end a relationship. Exploring them can help you avoid them in your own relationships. Insecurity can make someone afraid of being hurt. The type of hurt that causes excessive fear in relationships is the thought of the relationship ending. Worry that their partner might leave them causes significant distress and heightened anxiety. One reason for the fear of the relationship ending is an overwhelming sense of inadequacy reinforcing the insecurity. Anxiety convinces people that they aren’t good enough for anything—and especially not for a relationship with their partner. Often, low self-esteem makes people fear that they’re a burden, which fuels the fear of abandonment. Fears and anxieties join insecurity to invade thoughts. Imagined situations and worst-case scenarios can plague someone day and night. Fear of not being good enough and of the relationship ending cause anxious thoughts and “what ifs” in someone’s mind. The scenarios always end disastrously. All these worries can lead to behaviors that exacerbate problems in a relationship. Unfortunately, these behaviors create more problems than they solve. That doesn’t mean, though, that there’s no solution to a relationship suffering because of anxiety and self-doubt. Improving self-esteem is one of the best gifts you can give yourself, your partner, and the relationship between you. Give yourself time to explore your own unique interests, strengths, and values. What makes you feel vibrant? What can you do to pursue these things? Create opportunities to do things on your own and with a friend. Additionally, you and your partner can discuss and decide on things to enjoy together as a couple. Take care to avoid deferring to your partner’s wishes. Chances are, they’ll want to hear from you. Sharing your thoughts will boost your self-esteem and strengthen your relationship. As effective as these things are in building self-assurance, they’re not easy to do when you’re not used to thinking and acting without anxiety stopping you. For this reason, working with a therapist can be extremely helpful. With professional guidance, you can reduce anxiety and self-doubt and develop relationship skills. Self-help books can offer value as well. Both therapy and work on your own can cultivate your sense of self and belief in your worth. Additionally, they can help you strengthen your relationship by reducing behaviors that are ineffective and replace them with beneficial new ones. Work with your partner to nurture healthy attention, affection, intimacy, and communication. Anxiety and insecurity can kill a relationship for many reasons. You and your partner can revive it. Anxiety and relationship problems such as anger, jealousy, and paranoia frequently cohabitate. All relationships have difficulties now and then, but when anxiety is an unwelcome third wheel, problems can occur more frequently. Also, those problems can have a unique nature and way of intruding. Anxiety causes thoughts, emotions, and behaviors that hurt each person and the very nature and quality of the relationship. Relationship problems and anxiety can make sense when you recognize what’s happening, which means that you can use your knowledge to reduce those issues and repair your relationship. Before we explore anxiety and relationship issues, it’s important to note that these troubles don’t occur because anyone is “bad” or behaving negatively on purpose but because both people are reacting to the anxiety that is dominating the relationship. With this in mind, let’s look at some ways these anxiety issues affect relationships and how to fix them. Overthinking everything is one of the hallmarks of anxiety. Worries about the past, present, and future run through someone’s mind seemingly constantly, an effect known as rumination. Negative thoughts dominate how someone thinks, and ruminating over them makes them stronger. Negative, anxious thoughts in relationships cause worries about the relationship, what-ifs, worst-case scenarios, and dread. These manifest as jealousy, anger, distrust, and paranoia. Challenges arise when people act on these thoughts. These anxious thoughts and others like them fuel anxiety and jealousy in relationships. Jealousy leads to trust issues, which can escalate to paranoia. Any of these thoughts and feelings can cause anger. All are barriers to a healthy, close relationship. Overthinking your worries and fears leads to another cause of problems: self-criticism. Anxiety makes people critical of who they are, how they think, and what they do. Anxiety creates a critical inner voice that talks over everyone else. This inner critic makes someone with anxiety very hard on themselves, eroding self-esteem with its steady stream of harsh labels and negative thoughts. This can make someone clingy, needing constant reassurance. If a partner isn’t present when needed, uncertainty, worry, suspicion, jealousy can set in. Where is the partner? What are they doing? Why aren’t they responding? Did they abandon the relationship? Anxiety sabotages both people in the relationship by instilling self-doubt and making the anxious person turn against first themselves, then their partner. Trust issues lead to jealousy, anger and resentment. These thoughts, emotions, and beliefs lead to anxiety-driven behaviors. Some relationships are dominated by a certain theme. Anxiety and anger in relationships may be the biggest issue, with couples predominately experiencing jealousy, suspicion, and anger. Others may have a relationship that is colored by dependent, clingy behaviors. Others still have their own unique difficulties. Whatever relationship problems are caused by anxiety, you and your partner can fix them. Being fully present with your partner, mindfully pulling your thoughts away from the anxiety running through your mind and paying attention to your partner creates a much-needed shift and reconnection. When your partner does the same, you grow together. Practice self-care and couple-care. When you each do things on your own to care for yourselves and induce calm, you’re more able to interact without intense anxiety intruding. Also, creating calming rituals that you can do as a couple encourages intimacy and feelings of love and belonging. Fixing anxiety and relationship problems takes patience, time, and practice, but it’s well worth it. Together, you can build a caring relationship based on love, trust, and support instead of anger, jealousy, and paranoia. Anxiety and Insecurity: How They Kill Relationships and What to Do?